We’re getting close to the end of this series about the 5 Steps of Faith Defense, so let’s quickly review what we’ve learned so far. The problem with that statement is the atheist belief that ‘faith’ is based on something other than ‘reason.’ Christianity, for example, is based on evidence and a reasonable belief in the power of that evidence. Atheists don’t agree with that statement, but their disagreement doesn’t make the statement less true. Any statement that is true is true no matter who doesn’t believe it is true. That is the power of logic and reason. Notice what Coyne, Boghossian and other atheists believe about religion (specifically Christianity). They believe Christianity’s weakest point is ‘its reliance on faith rather than evidence.’ I always find that a bit amusing because the Christian ‘faith’ is founded on evidence. Many former strong atheists, including myself, became Christians because of the strong evidence for Christianity. Belief in God and Jesus Christ is both reasonable and logical. We have introduced the concept of Five Steps of Faith Defense that come from the world of Self Defense. Step One is to Be Aware. Step Three is Be Prepared. Step Four is Be Ready. There’s one more ‘step’ left: Be Quick. Students in a self-defense class learn they have less than five seconds to mount an effective defense against an aggressive attack. Knowing all of the four steps to self defense leading up to an actual attack are of no use unless the response is quick. All of the hours of training in self defense come to the ultimate test during a real attack. An effective physical response to a physical attack will usually happen in the first three seconds of an attack. Someone trained well in self defense can strike/kick an attacker multiple times while throwing them to the ground in three seconds or less. If necessary, the defender can follow up with a devastating second and even third wave of self defense movements if the first wave doesn’t complete the mission of stopping the attacker. So, how do we teach the concept of ‘quickness’ in Faith Defense? Gain control of the discussion, if possible. Street epistemologists (atheists) will use a number of techniques to control the conversation from the beginning. Atheist techniques often include ‘swarming’ and ‘steamrolling.’ That’s where they throw so many accusations or objections at the Christian worldview that the Christian is not able to respond to any particular point the atheist is making. It’s at that point it will become obvious whether the street epistemologist is interested in ‘discussing’ evidence for the Christian worldview or just wants to ‘rant.’ If the atheist is agreeable to talking about one point at a time, you may be able to have a respectful and beneficial discussion. If you are not able to gain control of the discussion, leave the door open for future discussion. A street epistemologist who isn’t interested in really ‘discussing’ Christianity now may be interested in the future. Leave the door open to talk at another time. That’s especially important if the atheist is a family member, friend or someone at work or school. Treat them the way you’d want to be treated: with respect and consideration. In self defense terms, we would call this a ‘soft attack.’ Because it is a softer method of attacking a person’s Christian worldview, Christians often don’t recognize it as an attack and don’t move quickly to a ‘faith defense’ position. Street epistemologists will move through several attack ‘stages’ on their way to leading Christians to doubt or question their beliefs. They often include a series of questions as part of their attack. Here are some of them as taught at Street Epistemology.com. You might also hear these questions about questions. It’s another attack stage. The correct response to any attack, whether hard or soft, is to be ‘quick.’ Be quick to understand that you are under attack and quick to respond to the attack. 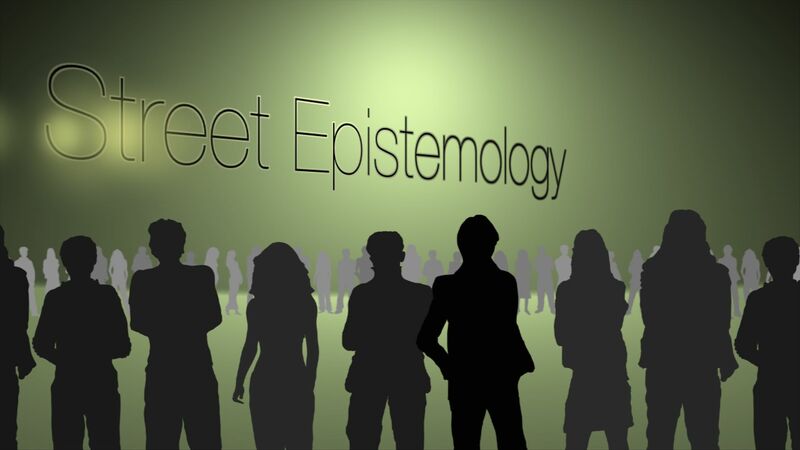 We’ll look at some of the best methods for responding to the attacks of street epistemologists next time in our special series, Street Epistemologists – On Guard.